IBM Personal Typing System, circa 1987. I like this computer; like the Dodge Neon it can't do much but it has a nice personality. 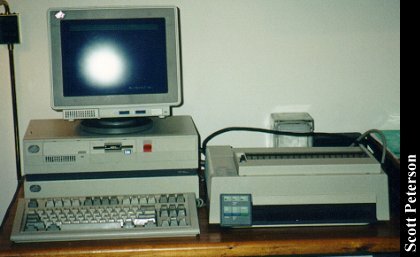 Here it is shown with expansion box and a contemporary IBM ProPrinter II. It's an 8086 with 640K of RAM, a 20 Meg hard drive, monochrome CGA graphics, and a 720K floppy drive. It's interesting to note the monitor (original) is a monochrome VGA, which the card is capable of driving. I can only think the reason this computer was made was because someone at IBM refused to let the concept of the Displaywriter die. 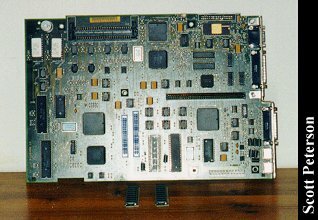 It's a PS/2 series Model 30-8086 (there was also a model 30-286 made to make it more confusing) motherboard turned sideways and fit into a smaller case. While most PS/2's used the Microchannel (MCA) bus, the Model 30-8086 used a standard ISA bus. However, on the Personal Typing System the bus socket communicates via a ribbon cable to an empty socket on the bottom of the case. 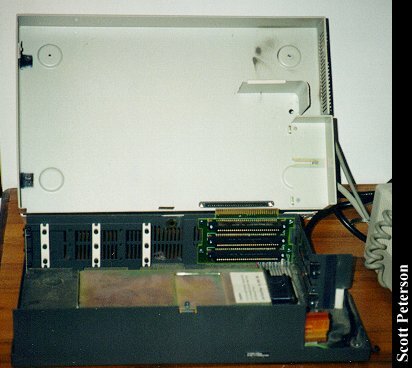 In order to hook up any ISA cards it was necessary to buy the expansion box that had the ISA bus and sockets and its own power supply, which fit underneath the main case. Everything hooks up on the right side of the upper case, accessible via a metal door. While it made a compact computer, this also seemed an incredibly wasteful arrangement. As it came this one had IBM PC-DOS 3.30 and WordPerfect 5.1 on it, in addition to a few other programs. I guess because I like to do things the hard way I decided to install DOS 6.22 on it, never mind that DOS 6.22 comes on 1.44 meg floppies and this only has a 720K drive. I got around it by making a 720K boot disk for DOS 6.22, booting the machine with it and writing the system files onto the hard drive. Then I copied using 720K floppies all the DOS files from another installation, and viola! DOS the hard way! I like this machine enough that I use it for secondary typing tasks and am considering installing a modem to use it as an e-mail reader. View of open upper case. 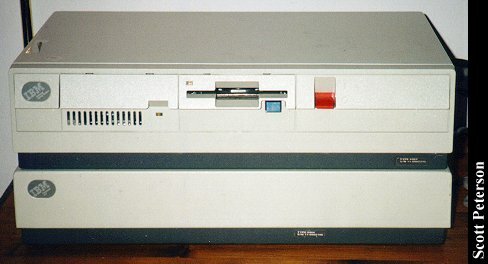 This computer uses either an ESDI or semi-IDE IBM hard drive, at least one reason why it runs faster than most other 8086's I've used. Behind the metal plate on the left can be seen the 256K RAM chips, which are very unusual looking. The green and white wires are where I jumped around a break in the ribbon cable for the timer battery, the only real problem I've had with this machine. View of case showing how it's really two cases connected together. 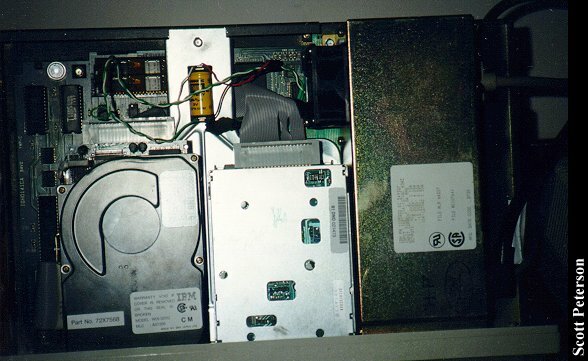 View of lower case, showing ISA bus and separate power supply. The motherboard, a standard Model 30-8086 board. Click here to view all comments for the IBM Personal Typing System and to leave your own.